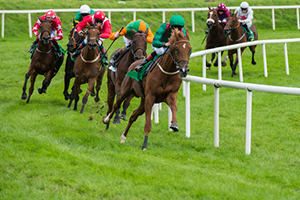 If you were injured at Gulfstream Park or at The Village at Gulfstream Park, then you should consult with a Gulfstream Park injury attorney. At the Wolfson Law Firm, our personal injury lawyers will speak with you at no charge. Furthermore, we never charge a fee unless we make a recovery for you. Call us at (305) 285-1115 and allow us the opportunity to answer your questions, provide you with options and come up with a plan for your to get the compensation you deserve. Gulfstream Park is located in Hallandale Beach, Broward County. It is a small town, but a very lively one, since Gulfstream Park and other venues attract many visitors. It is one of the most important horse racing venues in the United States. It is the home of few famous races, such as Florida Derby, Pegasus World Cup, and Sunshine Millions Day. It was first opened back in 1939, while the Florida Derby - the race that made the race course famous - was introduced in 1952. At the same time, the venue has expanded with a clubhouse and a grandstand seating. Seven years later, in 1959, Gulfstream Park introduced its world-acclaimed grass turf, setting itself as one of America’s most important horse racing venues in history. Several owners have changed throughout the years. All of them have brought certain improvements and made Gulfstream Park what is it nowadays. A walk around the venue would take the visitors to many attractions that are available nowadays. The horse race course is not the only thing that attracts visitors. The whole place has a casino, plenty of retail stores, and over 20 bars, restaurants and nightclubs. It regularly hosts concerts and other live music events, as well as various themed family events. Main shopping sites at The Village at Gulfstream Park, among others, include Charming Charlie, Roxtar Couture, Village Squire, Lilly McKay, and Back 2 Back. Abounding dining options include Adena Grill and Wine Bar, Le Macaron, Brio Tuscan Grille, Derby Subs, Ten Palms, Tito’s Bar, and many others. As any other commercial property in Florida, Gulfstream Park may be liable under Florida premises liability laws for accidents and injuries which occur at these facilities. Gulfstream Park has a duty to meet certain standards in order to keep their premises reasonably safe for their visitors. When they fail in doing so and that causes personal injury to someone, the fact that they have breached this duty can make them legally responsible for an injury that has occurred due to their negligence. If you or your loved ones are injured at Gulfstream Park, make sure you call a Florida personal injury attorney to discuss circumstances of your case and see if you qualify for damages recovery. At the Wolfson Law Firm, our Florida personal injury lawyers are ready to help. Just call us at (305) 285-1115 for your free consultation. Our Gulfstream Park injury legal team is standing by to help answer your questions.